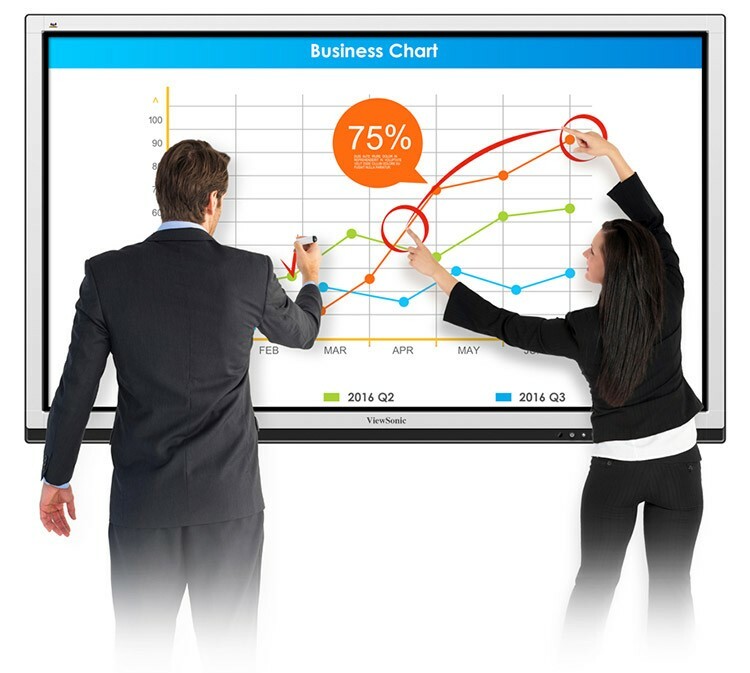 ViewSonic launched CDE7561T 75″ Full HD interactive flat panel display to give business and educational classroom interactive solution with 20-point touch-enabled and PC-less operation with pre-installed annotation software, allows multiple users to simultaneously write or draw on the display’s 7H hardness surface using fingers or styluses. 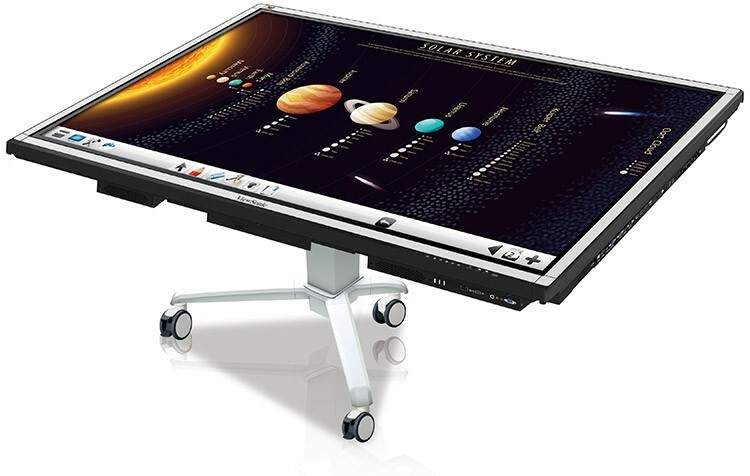 The display features 350-nit brightness, and wide viewing angles provide better visual performance in well-lit rooms, and its flicker-free and blue light filter eye-care technologies. 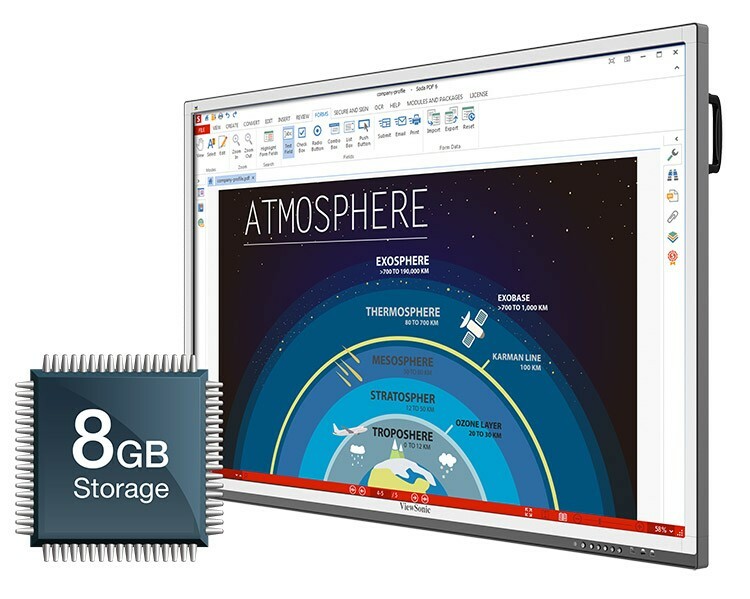 The display is powered by a built-in dual core processor with 8GB internal storage. For connectivity, it has HDMI, VGA, YPbPr, RS232, RJ45 and USB ports. 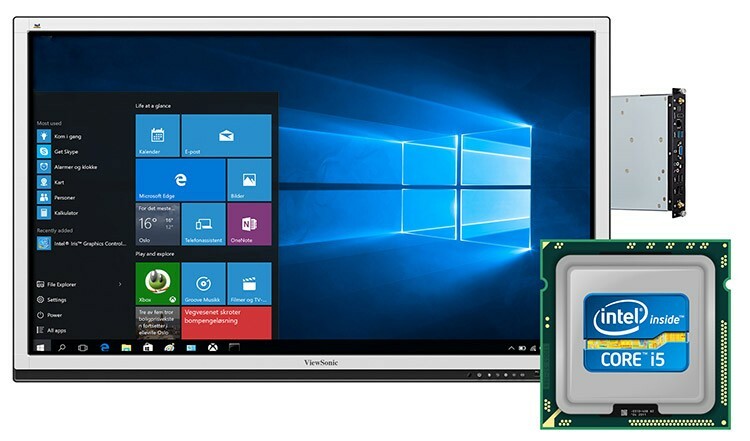 The display also supports optional ViewSonic NMP711-P10* slot-in PC utilizes the Intel Core i5 processor, as well as the Windows 10 operating system, to provide additional computing power and touch functionality. *Optional accessories (NMP711-P10) sold separately.